Buying a car is a big deal, but buying your first car is a huge milestone and reason to be proud. Between dealing with high-pressure car salesmen tactics, trying to ensure you get a good price, haggling for trade-in values on your old car, and staying on top of the sale by avoiding any hidden fees, you’re probably the least worried about the most important part of your first car purchase: your credit score. Financing your new vehicle may not be the flashiest or most exciting part of your purchase, but it’s definitely an aspect you shouldn’t avoid. If you’re willing to spend hours negotiating with a salesman, then you should also set aside time to prepare for this major purchase. Buying a new car doesn’t have to make your credit rating take a huge hit, so we’ve outlined some ways you can prepare your credit for your shiny new toy. In general, knowing what the car you want is going for in the market is going to help you negotiate for the best price. Researching online is usually the best route to see what dealers’ inventories have, and what you want to schedule to see. If you find that the vehicle you want is experiencing high demand, then you’ll have less leverage as a customer. Before you go shopping, you should check out your credit score and know your credit score range. We recommend doing this a few months in advance so that if you need to increase your credit score, you can do so. Your credit score directly effects what kind of interest rates you can get on financing your vehicle, and also gives you the upper hand on deciding whether to finance through the bank, credit union, or your dealer. While there is no specific minimum score to buy a car, the higher your score is, the more options for financing you will have and the more you will save on an auto loan interest. Myth busted: Getting a car loan can actually help your FICO credit score. But, the price you end up paying for a car is going to determine whether you qualify for a loan to buy it; a price too high can disqualify you. Find a suitable payment plan, as not making payments will definitely hurt your credit rating. The more money you pay for the initial down payment, the less money you will need to borrow—it’s as simple as that! Saving for a down payment will reinforce realistic budgeting practices. We recommend aiming to down pay for about 12% of the purchase price. Everybody wants to get a good deal on their car purchase, and knowing your credit score is going to help you streamline the process. Buying a new vehicle should be an exciting, fun experience with the help of your dealership and credit unions. If your credit is not where it needs to be yet to get a good deal on financing, contact Credit Capital today. Is It Time To Sell Your Car? When is the best time to sell your car? Credit Capitol wants to help you find the perfect time to sell your vehicle, and now just might be that time. 2018 is off to a great start and it is time to get started on those New Year’s resolutions. Whether your resolution was to clean out the garage, sell an old vehicle, or purchase a new vehicle, now is the time to check it off the list. Credit Capitol wants to help you sell your old vehicle and even help you buy a new or used GMC or Buick vehicle from Liberty Buick GMC in Charlotte. Safety Concerns – If you ever feel concerned for the safety of yourself or others, it is time to ditch your vehicle. You will want purchase a vehicle that will give you peace-of-mind when on the road. Cost Of Repairs – When the cost of maintaining your vehicles performance begins to add up, it is time purchase a new vehicle before you spend more on repairs than the cost of a vehicle. Growing A Family – Whether you are having a child or adopting a little furry friend, the size, comfort, and safety of your vehicle is important when starting a new stage in life. Changes In Your Commute – A longer commute is a good reason to upgrade your vehicle to a comfortable and fuel efficient vehicle. It’s A Gas Guzzler – If your vehicle is constantly running through gas, a new vehicle could help you save some money. Your Carbon Foot Print Is Embarrassing – If your old clunker is polluting the environment, it is a good reason to justify buying a new vehicle to be a better steward of your environment. Frequent Breakdowns – Finally, if your car is always breaking down and is no longer a reliable source of transportation, then it is time to get a vehicle that you can depend on and save those towing charges. Still not convinced that you need to buy a new vehicle? Liberty Buick GMC is giving you a little more motivation this year with its awesome New Year’s sales. Take a look at new and used Buick and GMC vehicles in the Charlotte/Matthews area. Once you have your dream vehicle picked out, we will help you finance it at Credit Capitol. Warning From Credit Capitol: Don’t Sign Up For The Christmas Credit Card! Christmas is almost here and the rush to finish Christmas shopping in time is on. With the holiday right around the corner, last minute shopping, crowded malls, and long lines are just the start of the Christmas chaos. Credit Capitol wants to help keep you from running into a financial disaster. This time of year it is so easy to resort to the holiday credit card fiasco. With the holiday shopping rush, this is a prime time for credit card companies to sneak their way into your financial plan without telling you the catch. To make it even worse, a law has just been passed to make it even easier for sneaky banks to give customers credit cards. With the recent class-action lawsuit against banks, customers should be fully aware of what they are getting into before signing up for any type of credit card. The recently passed law is making it even easier for banks to slip in those hidden fees, annual maintenance charges, and even change interest rates. So, be prepared to read that eight page contract with a magnifying glass before signing on to another credit card. If not, you can expect to find all kinds of head charges in the fine print underneath the wowing incentives. 0% percent interest, 1 year no payments, the list goes on for the outstanding incentives; but don’t be fooled. Below these crazy awesome deals, the fine print could read 500 annual maintenance fee or 100% interest rate after 12 months. Credit cards are awesome, just make sure you read all of the fine print and know exactly what you are signing up for so there will not be any surprises. Credit Capitol wants to help make sure your Christmas goes well. So stop and think before signing up for those Christmas Credit cards. Why Buy A GMC Or Buick During The End Of Year Sales! At the end of each year, Liberty Buick GMC hosts their biggest sales event! From Black Friday sales to Christmas sales, all in all, it is the biggest ta-do of the year. It’s the end-of-year sales event! The end of the year really is the best time to buy a vehicle and these sales live up to the hype. Credit Capital wants to help you finance the perfect vehicle before 2018 arrives. It’s finally time to check getting a new car off your list of things to-do this year. There are several reasons why the end of the year is the best time to buy a car. One of the biggest reasons is actually pretty simple. New Year, new cars! Dealers know that starting a New Year means that people are going to want newer cars. So out with the old cars and in with the new. In order to make room for a lot full of new 2018 vehicles, a dealer’s goal is to sell as many of their 2017 vehicles as they can. This calls for huge sales. Most dealerships don’t want to be selling last year’s model in a new year so they start clearing out the inventory. The best way to clear out the inventory is by putting up the best prices. The second reason that the end-of-year deals beat all other sales is that dealerships want to reach their sales goals and in order to do so they need your help. With just weeks left before setting a new set of goals, there isn’t much time so dealerships crank up the sales. Dealers offer their best specials and incentives they can to help them meet their targeted goal. Finally, business is usually a little bit slow during this time of year. Cold weather, Christmas, and lots of traveling means that many people are generally not looking into getting a new vehicle. Many people are staying in doors to keep warm or are spending their extra money on Christmas gifts. To help draw people into the car buying mindset, awesome specials are a must. Overall, there is no comparing deals. End-of-year sales really are the best of the best. During this end-of-year sales event, Credit Capital wants to help you finance a new Buick or GMC vehicle from Liberty Buick GMC. Ready to shop around? Take a look at the inventory online at www.clickliberty.com or give them a call at 866-442-0871. When looking for a vehicle to drive on a daily basis you have two main options, buying or leasing. Both of these have their ups and downs financially, and in terms of their convenience. When it comes down to the nitty-gritty of car buying, it is all about personal preference, your lifestyle, and your finances. That’s why Credit Capitol is here to help you make the right decision when it comes to buying or leasing your new Buick or GMC vehicle. It is a great feeling to call a vehicle your own. With no limits on places to go and with nothing to hold you back, it’s all yours. Buying is a great option for someone looking to make a true investment. Buick and GMC vehicles really hold their value, making this vehicle a great option for purchase. When you are ready to upgrade vehicles, these cars will sell easy and with great value, giving you the return on investment you need. 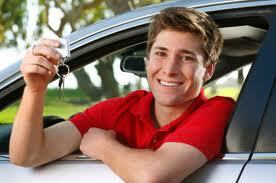 Leasing a vehicle can also be a great option for someone looking for a car. The two main perks include spending less money and having the option to move between new cars frequently. If you are just starting out and have never owned a new vehicle, leasing is a great option to get your feet wet. Leasing a car allows you to get a feel for a vehicle and keep it for several months while you decide on your vehicle goals. Leasing a car often has a lower expense but it does not allow you to sell the vehicle in the end. Leasing a vehicle is a great option for car lovers who like to change cars often. Leasing a vehicle comes with a short-term contract that allows you to switch vehicle frequently. Whether you decide to buy or lease your Buick or GMC vehicle, Credit Capitol is available and ready to work with you. No matter what your financial situation is, Credit Capitol is willing to work with you. Call 866-442-0871 to learn more about buying and leasing a vehicle. It’s Spring-time in the Charlotte area and it’s the perfect time for driving around the Queen City to enjoy the sights and sounds of one of the South’s prized jewels. It’s also the perfect time – thanks to Uncle Sam’s tax refunds – to consider financing a brand new Buick from Liberty Buick GMC with the help of Credit Capitol. “Credit Capitol is more than just a financial services firm…We help find a car or truck that suits your needs and then we help you find the right financial package.” You will find this promise on our website as a reminder of what Credit Capitol truly stands for – exceptional financial support for YOU. We take pride in navigating those with credit issues through the vehicle-financing process, a process that can be stressful but one that needs not be with Credit Capitol’s guidance. The second you click on our homepage you will see a simple, hassle-free start to the loan process. We also provide an easy-to-use Loan Calculator to help you determine how much to set aside each month for the Buick of your dreams. Credit Capitol values the Buick and GMC vehicles waiting for you at Liberty Buick GMC so much, we do not involve ourselves in home mortgages or business loans. We want to be your helping hand through one of life’s most important – and stressful – processes: securing the right vehicle for YOUR driving needs. Car loans for those who may be turned away elsewhere are our specialty, our forte, our promise. Check out just a sampling of the brand-new Buicks Liberty Buick GMC has to offer: 2017 Buick Cascada, 2017 Buick Enclave, 2017 Buick Encore, 2017 Buick Envision, 2017 Buick LaCrosse. Call Credit Capitol today (866-442-0871) and ask for Cecil Ward to get your vehicle loan process started for your brand new Buick. At Credit Capitol we do more than find you vehicle loans. We make sure all of our customers are informed and prepared to find the best interest rates on whatever they may buy. This is especially helpful for those with credit issues. The truth is, just because you have bad credit, you don’t have to pay exorbitant fees. The key to finding the best interest rates is knowing some basic information on how they work. And anyone looking to finance knows the rates are constantly changing. But why do they change? What it boils down to is supply and demand. Since interest can best be defined as the price of borrowing money, it makes sense that when supply of a product is up, lenders raise the rates so they can make more money. When supply is down, lenders lower the rates in the hopes of generating more business. Other factors, such as economic conditions, aid in the fluctuation of interest rates as well. And with these things in mind, it is best to consider if supply is up or down on that new vehicle you are looking at. You might also want to look at the current state of our economy. Are gas prices up or down? This could drastically affect the cost of borrowing money for a large SUV versus a small, four-cylinder sedan. So what are the current rates? Well, that depends on why you are borrowing money. For vehicle loans, the current rates are around 4.46%. Not a bad rate, but this number can vary depending on where you borrow the money. The best piece of warning when shopping around for rates is to make sure you are using a company that has your best interests (no pun intended) in mind. Many credit companies love to claim themselves as heroes for those with poor credit, when in reality they are hiding extra fees and penalties in order to make you pay more than you should. Find a reputable company, like Credit Capitol, and let them find you the best possible rate no matter how bad your credit is. You’re on page 9. The bank or loan company is asking you the address of a job you haven’t even thought about in ten years. You’re trying not to let your annoyance and frustration show on your face. But you see more pages still left to tackle on that car loan application which seems to be laughing at you. This could be you. But it doesn’t have to be. Credit Capitol is your salvation, your guiding hand that will lead you away from the convoluted and confusing loan application process. Credit Capitol is the Charlotte region’s financial firm for those with credit blemishes seeking a car loan. Credit Capitol knows that some loan companies and banks will turn their backs on citizens with credit concerns. That’s why they simplify the process. “All Applications Accepted” is more than a buzz-phrase thrown on a company website. It’s a motto they honor. Credit Capitol’s stress-free application process starts with a simple and easy website to navigate through: http://creditcapitol.wpengine.com. Here you will find an easy-to-use Loan Calculator that allows you to see the various options of financing Credit Capitol provides. You will also find a quick and simple first step of providing information to get you started on that car loan. All you need to enter is your name, phone number, and email address. Credit Capitol believes in helping out everyone who needs a new or used vehicle. You don’t need a co-signer. You don’t need to worry about previous credit problems. You don’t need to worry about bankruptcy in the past. You don’t need to worry about a large down payment. If you like a quick and stress-free loan application process when purchasing a vehicle, Credit Capitol has what you need. We’ve all been there. The car or truck that’s been paid off for years – the car or truck that’s been saving us from monthly payments – has come to its final days. We need a loan from a financial institution to replace our departed friend. For those with solid or perfect credit, securing that loan from a bank is fairly simple. For millions with less than stellar credit, it is far from simple. Luckily, there is a proud financial institution like Credit Capitol in the Charlotte area that specialize in lending a helping hand to those whose credit has seen better days. Credit Capitol specializes in vehicle loans only. They know how vital it is to have working transportation, and they want to help you secure a loan that fits your budget. Credit Capitol cares so much, they want to let you know the various ways to improve your credit score. Get a Copy of Your Credit Reports. This is a no-brainer. As a consumer looking to improve your credit, you have to know your current credit status. Thanks to modern technology, this can be done quick and easy online. You should check your current credit score with all three of the main credit bureaus – Experian, TransUnion, and Equifax. This knowledge will shine a light on the accounts that are damaging your credit score. Don’t be surprised to find accounts you have forgotten about. Again, knowledge is key. Take Care of Any Past Due Balances. A consumer’s payment history makes up 35% of his or her credit history. Reducing – or better yet, paying off – credit card balances is a vital step in improving your credit score. Another 30% of a consumer’s credit score is based on credit utilization. This is the ratio between your available credit card limits and how much your balance is. The closer your credit card balance is to the limits your credit card company offers you, the worse your credit score will be. Don’t Automatically Close That Credit Card. It’s natural to want to close out a card – especially one that you got just to receive interest free financing over a period of time from a major business. To improve your credit score, you must be knowledgeable about which cards to close and which cards to keep open. First of all, common sense dictates that you don’t close a card that has an existing balance. This is a sure-fire way to hurt your credit score. If you have multiple credit cards, avoid closing the one that has available credit. Having credit and not using it helps your credit score. Also, don’t close out the only credit card you have if you are lucky to have only one. You should also keep open your oldest credit card and credit cards that offer the best terms. Patience. Patience. Know that improving your credit score is not an easy fix. Start a financial plan where you commit to paying off a desired amount of credit debt each month. One thing you don’t have to be patient with – regardless of your credit score – is contacting Credit Capitol to secure a vehicle loan that fits in your budget. Their website allows you to search local car and truck dealers for available inventory, and it has an easy-to-use loan calculator. If you need that helping financial hand, let Credit Capitol guide you to the right vehicle loan for you. Maybe you need credit to buy a car. Maybe you are applying for an exciting new job. Or maybe you just want to apply for different insurance coverage when buying a new car. So many of life’s activities involve and impact our individual credit ratings! Understanding how credit works can be a challenge. Below is a summary of some of the basics of credit that every consumer must know and understand. Your credit report is the document that contains all the collected data that impacts your credit. The report is generated by three different credit reporting agencies and after the data is analyzed, a numerical credit score is tallied. Data is collected all the time and an individual’s credit score can change for the better or worse, depending on the information provided to the three credit agencies by companies, government entities and other organizations that provide the data. An individual’s credit score then in turn, impacts many facets of a consumer’s transactions. Let’s take a closer look at the data that may be included in a credit report. A credit report contains all, current basic data on an individual including work you live and work. Your report may contact bill payment history, loans, debt and other financial information. Your report might also include information about whether or not you have been arrested, sued or filed for bankruptcy. Lenders then use your credit report to determine whether or not to lend you funds, and also what terms to offer you. A higher credit score will usually result in better terms and lower interest rates. Employers use credit reports to make hiring decisions. Insurers, landlords and others use credit reports and scores to make determinations about doing business with consumers. But what if there are errors in your report? It is essentially that all consumers take advantage of the three free credit reports that everyone is entitled to receive every year. That’s right! Each credit reporting agency is require to provide every consumer with one free credit report every year. Once you’ve received your free report it is your responsibility to check all the information carefully and challenge any incorrect data. So how do you challenge in the information in your report? What if you find that someone has opened an account without your consent? What if the amount of debt on your report has been incorrectly reported by your bank? You must contact the credit reporting agency and the company that provided the information on your report. Do this in writing and keep all correspondence, even after the issue is resolved. If you are unable to resolve the issue directly, you can file a complaint through the government’s Consumer Financial Protection Bureau. Below you will find the names and contact information for the three credit reporting bureaus. Remember to check your credit at least once a year and make sure to review the data carefully. Once you have you can go buy that new car and get a great rate! Happy shopping!